Well let’s try to end the year with some good news. The Weekly with Charlie Pickering will be back with us in just over 4 weeks time with Kitty Flanagan, Tom Gleeson, and a new addition in Indigenous Australian rapper, writer and actor, Adam Briggs (Cleverman). no one will notice the bits they broke. 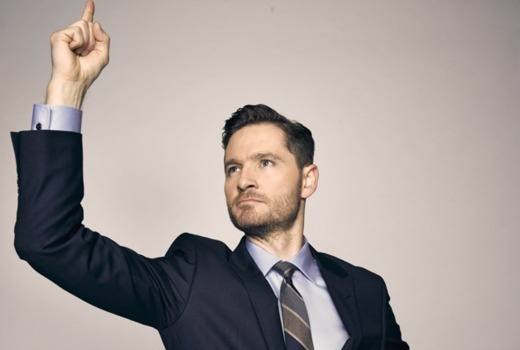 The Weekly with Charlie Pickering: making breaking news brokener. Wednesday 1 February at 8:40pm on ABC. Great news. Can we please have some more ‘intelligent humor’ as counter balance for the majority of ‘lame humor’ programs. All these celebrities passing away is very depressing. Charlie, Tom and Kitty work very well together. Briggs’ addition will be interesting. Any word on another season of Hard Quiz?